Within the barns that Circle Rock Inc. dismantles there are barn boards from historic granaries. Present day metal grain bins have replaced these interior wooden structures. The board from the granary is in good condition and it can be reused. The board is collected and brought to the shop to be processed. It is sorted, brushed and denailed and ready for further processing. The picture above depicts very wide granary board. This is not unusual but the board brought into the shop will be in varying lengths and widths. 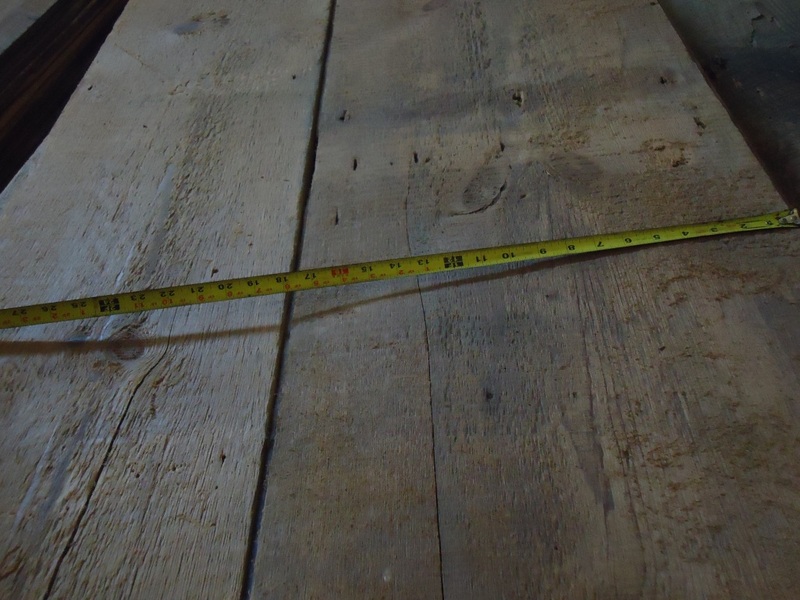 The threshing floor plank in a historic barn can vary in thicknesses and degrees of markings. This depended on the location from which the plank was taken. These planks carried the weight of the horses and the steel wheeled wagon traffic. With this in mind, the entrance to the barn would see more wear than at the back. The threshing floor planks started out at 2 inches thick. Years of wear on the plank could bring it down to 1 and 1/2 inches thick. The 2 inch threshing floor plank is sorted and and ready for further processing as ordered. 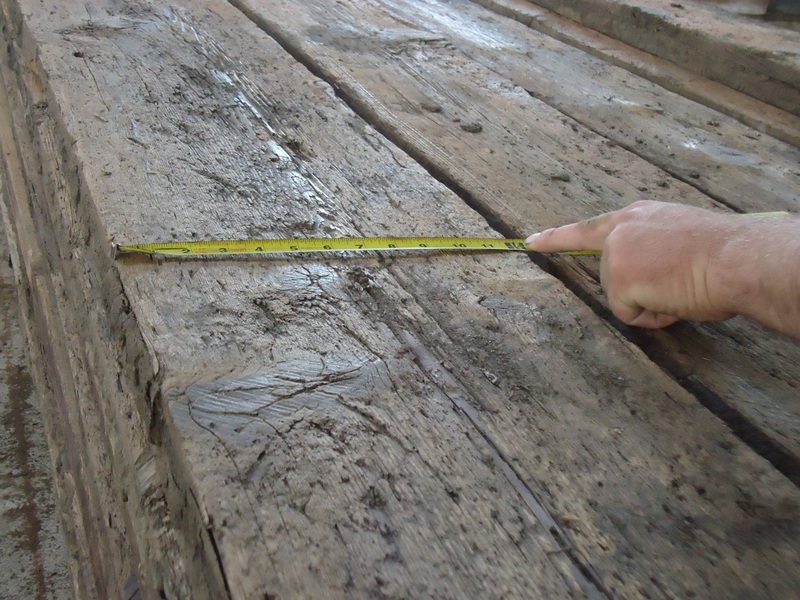 This picture is a good example of the deep markings in the 2 inch threshing floor planks. The original sawn floor board would not have the stress on the board like that of the threshing floor planks. 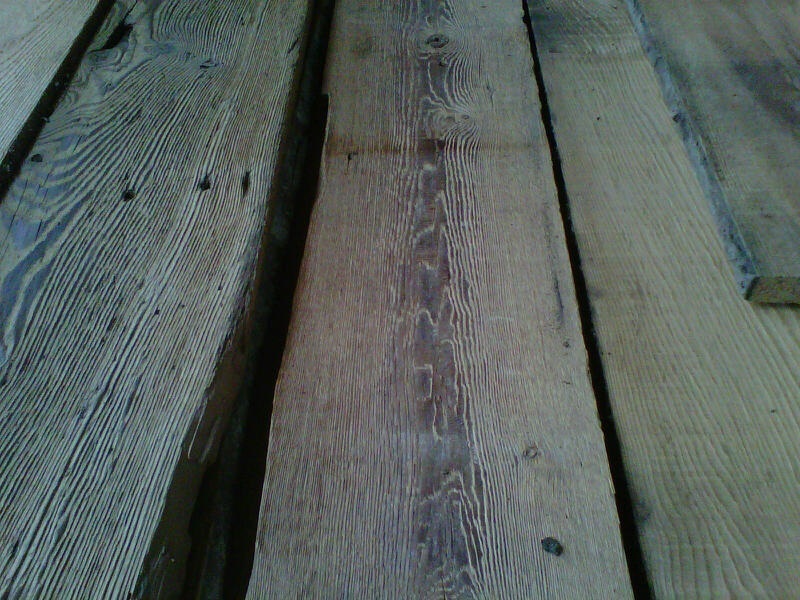 These barn boards are found on the floors of the storage area on each side of the threshing floor. These boards were 1 inch thick with varying lengths and widths depending on the trees that were available. The 1 inch board is sorted, brushed and denailed.